If you are experiencing uncomfortable sleeps or waking up in the middle of night with dry nose and cracked lips, you might be facing a humidity issue. Things get worse when you are travelling or staying in a hotel, miles away from the comfort of your home. Luckily you can solve this issue by using a simple portable or travel humidifier. Now as easy as it may sounds, finding a perfect portable humidifier isn’t really a breeze. If you don’t know what you should look for in a humidifier, you might shop around for hours with nothing or even end up paying through the nose (no pun intended). This guide can save your countless hours as well as helps you make the right choice when buying a humidifier. 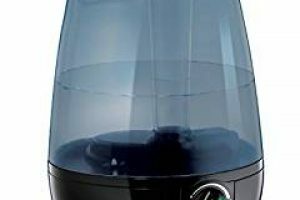 After researching and reading hundreds of reviews from customers, I have shortlisted the best possible choices when it comes to a portable or mini humidifier. Humidity plays a vital role in our day to day life without people being aware of it. We usually see the importance of humidifiers during the winter season due to dryness however they play an important part in keeping us healthy. For example a research in 2013 by Centers for Disease Control and Prevention suggests that higher level of humidity can help make airborne viruses ineffective like flu virus by coughing. Other benefits includes comfortable breathing (especially for people with sinus infection), healthy skin and more. Considering above information, a travel humidifier should be an essential travel item for anyone who cares about not getting sick while on a trip. Humidifiers become more important during traveling because you cannot rely on the preparations at your destination. May be your room has no windows or may be the air conditioning or heating unit of the building doesn’t have central humidifiers. So instead of leaving it to chance, it’s almost always better to be prepared. 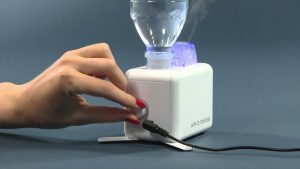 A travel humidifier is a personal device that will make use of a disposable water container or bottle as its reservoir. This is a simple machine that lets you screw the bottle of water into its tiny base that utilizes ultrasonic sound waves in generating water vapor. A personal humidifier is perfect for the frequent travelers and still a good choice when there is limited space. Personal humidifier reviews indicate leaks the most common problem with regards to the unit. It is important to carefully read the product description and manufacturer claims and prior to your purchase. Each of the products in this review is great for providing soothing moisture while traveling personal spaces. actually is. Dry air can dry out the wood in the walls and floors of your houses. As the drying wood shrinks, it will cause creaks in floors and then cracks in drywall and plaster. You will learn how a humidifier can help to make things more comfortable and even to save a little wear and tear on your house by adding moisture to the air. It is surprising how big a difference a little water can make. Most of the travel humidifiers are affordable and occupy little space in your luggage. The humidity level can be easily regulated using the adjusting buttons of the devices. If you want to maintain a healthy humidity level within your surrounding then you need to buy a humidifier. With the many brands on the market, you can select the best travel humidifier can be quite a difficult task. There are some things you need to take into account when looking for a travel humidifier. sense to waste your earned money purchasing a humidifier and you will not likely to get value out of the same. There are various types of humidifiers and each of the types has its advantages as well as disadvantages. When choosing a humidifier it is recommended that you look at the different styles. Some of the humidifiers are easily portable thus making them ideal for traveling purposes. The common type of humidifier that you will come across is the ultrasonic humidifier. This type of humidifier will come in both mist and cool mist types. If you are looking for a quite humidifier then you can consider the ultrasonic type. A good humidifier is one that will have the effective technology in order to make the air within the surrounding pollution. The humidifiers will convert water into a micro-fine mist and then spread it. Few of them will prefer humidifiers will make a lot of noise when in operation. There are companies that manufacture high quality and noiseless devices. Before buying a humidifier make sure that it will not produce sound after switching it on. A noisy humidifier will make you uncomfortable when you think about turning it on. If it is your first time to purchase a humidifier then you have to consider going for a machine with user-friendly. The best machine will be easy to operate and pack excellently. A good humidifier is one that you need PET bottle and then connect it to the device to generate fresh air. There are manual and automated humidifiers. An automated humidifier is highly effective and easy to operate when compared to a manual one. 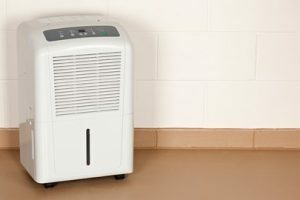 If the humidifier is about to purchase will not have a simple function to continue with your search than waste time and money on a device that will disappoint you. Most of them will go for cheap humidifier only to realize that they are not automated. Small and portable humidifiers are freestanding units that plug into standard electrical outlets and that come with water holding tanks. They can moisturize the air perfectly from small rooms to a medium sized one at the same time. Most of the humidifier is small desktop models that are able to keep you comfortable even at your workplace. A portable humidifier can bring relief if you are suffering from breathing issues due to allergies. This portable humidifier offers you a relief from flu, cold, dry air and then cracked skin during cold weather. At the same time, you can use it as a mister during the hot summer months or as a hand moisturizer. To do this you have to hold your hands over the mist travel humidifier. This humidifier is user-friendly and all you need to do is fill up a glass or a bottle with water and then insert the device. Most hassle free and portable personal humidifier on the market then simply plug the fancii mini humidifier into any USB power source. You have to fill up a glass or water bottle with water and then insert humidifier. This worked really well while on vacation. This is small and compact. Wish it too had some type of battery to it so it will not need to be plugged into work. This little humidifier is light and works great. The unit is light and can be easily packed for travel. Travel ultrasonic humidifier is one of the trouble-free and effortless devices that moisten the air where you can place the humidifier. You can use it on a high platform in office, room and in your car that removes all the dryness and that will inject moisture into the air. This travel humidifier definitely is travel welcoming. It arrives with it is really own travel pouch and it is small plenty of to even in good shape. It was incredibly handy during those tremendous dry desert evenings in the hotel space. This humidifier is a recreation changer, lightweight and it takes regular drinking water bottles. It has an attractive blue light that is perfect for a nightlight in unfamiliar areas. It comes with a great travel bag. It will serve up to continuous six hours of moisture that can be rearranged and regulated the mystic fumes. 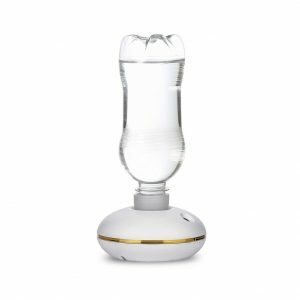 The mini water bottle humidifier will take care of the volume and unlike traditional devices, they are quirky and easy to carry and that will eliminate the usage of a fluid container. The unit has an auto-off function as well that will turn the humidifier off when it runs out of the water. 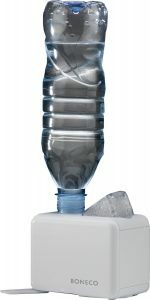 It can withstand the weight of the heavy bottles and then operates automatically when it evaporates all the water inside the bottle. If you are looking for mini humidifiers then this can be the perfect product for you. This is simple and wonderful high-quality travel humidifier. If you need a travel humidifier that has a large capacity then this is the right product for you. It comes with a high output and it can last for up to 24 hours. It is highly portable and ideal for hotel rooms. It is made for travelers and it includes a travel bag that makes it easy to carry around and then stores in your luggage. It comes with an interchangeable plug that makes it suitable for worldwide use. It is larger than most portable humidifiers but it is a still great for hotel rooms to be humidified. It is lightweight and easy to carry. It is equipped with a blue LED light and it has a vapor mist function and it is also efficient. This high output humidifier is ideal for those of you who travel often and it will have breathing issues and dry eyes because of dry hotel rooms. 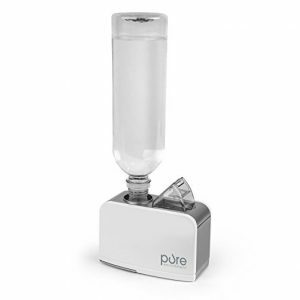 It comes with an adapter for conventional bottles and has a travel bag and also easy to clean. 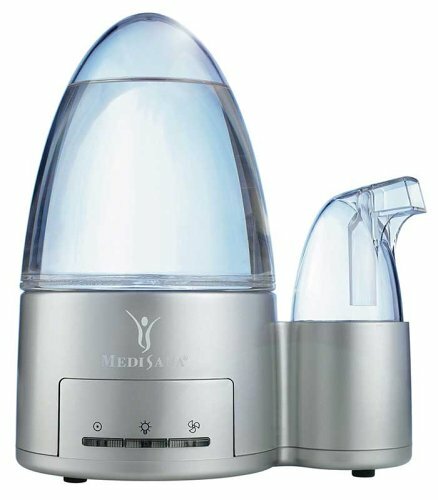 It is quiet and compact and also represents a solution to all of your health concerns that regarding the moisture in the air around you. This is a wonderful humidifier with consistent humidifying power. The ability to use your own water bottle is a nice option to have. This is a compact portable design that can easily fit into your travel bag. This is great to use in office desk. This is a highly portable humidifier. The light basically lights up the whole room in the dark. 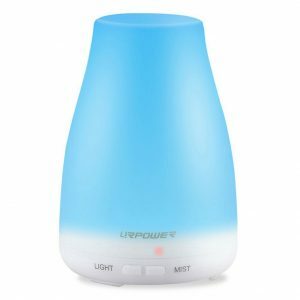 This is beautifully styled ultrasonic diffuser really pumps out the mist. It has a lot of interesting features. It has a warning sound for low water level, power up and so on. Many diffusers will not come with a measuring cup for the water and URPOWER diffuser has one. It will seem like a small point until you will have unplugged the wire from your diffuser to go to the sink to get water about 100 times. It is the little things that make all the difference in convenience. The LED nightlight function will provide a lot of different choice for the light color and intensity. You can select the morphing colors or you can find your favorite color. You can choose the color for some light healing that corresponds to the essential oil you are evaporating. The power button has a start up mode with a green indicator light and an operational mode with a red indicator. URPOWER is a consistently good company with well-made products. 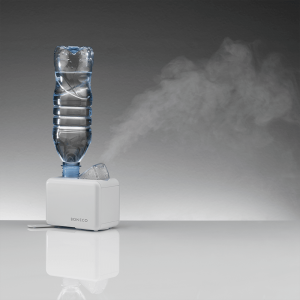 A humidifier can be an important part of sinusitis treatment and if you use it correctly. This is for better breathing and a comfortable sleep. The variable mist controls will give you the ability to adjust the output for customized control. The design will be convenient and it is equipped with a cartridge. 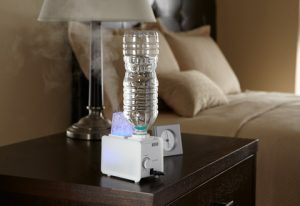 This humidifier will work great to provide moisture to your bedroom. The only downside is the LED light in the button. The light is bright and it will not turn off. This is great humidifier. These humidifiers use high-frequency vibration to generate a micro-fine cool and warm mist. Enjoy fresh air and breathe comfortably with the help of this tiny and portable humidifier. The lifetime guarantee ensures a stress-free experience. It provides a compact air humidifier and enabling you to breathe easier in a wide variety of places. If you are working in your office, driving your car, watching TV and trying to sleep then this humidifier is the best choice for you. This is not an oil diffuser. It provides a consistent stream of water vapor that makes the air in your room fresh. This will enhances breathing that you give you peace of mind that your loved one will breathe comfortably. It soothes dry sinuses, bloody noses, and cracked lips. It helps to prevent or alleviate dry skin, eyes and nasal passages. It offers the options to plug the humidifier into an AC and DC outlet or a computer with the USB cable and adapter. It takes up little space and it is conveniently portable with its compact size. It can be easily cleaned within minutes. This air humidifier is built with durability, lasts for a lifetime of use and it is simple to operate. The fact that the humidifier works well and looks nice is great. 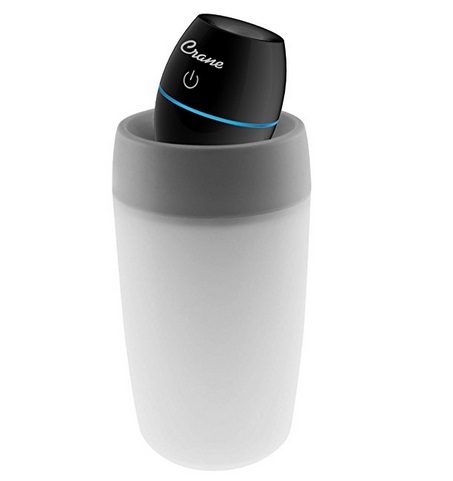 This is great compact humidifier for sinusitis works perfectly. The soft green glow from the light is relaxing day and night. This is a great little device and lives in a compact space. It is not going to humidify anything but your immediate area so just try to direct the mist close to your face. The timer feature is handy and easy to activate by cycling through with the single button. The design is a little too heavy and it will not spill anyway. The convenience of being able to tuck it away in a drawer is worth it. It comes with a spare filter. The white plastic adapter that allows you to screw the water bottle into the unit split and started leaking. They were absolutely amazing at taking care of the situation. This cool mist humidifier is great and runs quietly. This is ultra-compact and compact size travels easily and perfects for use in bedroom and office and so on. It converts a standard individual water bottle into a mist producing water container. The cordless design will make it a universal humidifier. It powered by 3AA batteries or USV devices like computer and power bank. You can clean with wipe cloth simply screw onto a standard sized water bottle. You can use with USB or battery powered travel humidifier. This is an attractive humidifier and works great. This diffuser operating with 2 batteries is extremely easy to use and can be placed wherever it is needed. It is efficient and affordable. 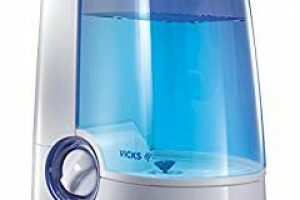 This is a great little room humidifier and it was extremely easy to setup and it is working great. This unit is another wonderful portable humidifier that will help you to overcome dry air that is responsible for skin irritation and discomfort down to dry skin and dry hair. The price will be reasonable for its working capacity. A perfect portable traveling unit for office and home will have especially during winter time to get rid of air dryness. It designs with cotton antimicrobial materials that will be tested and known to reduce bacteria and mold growth. This unit will help you to enjoy cooler sleep every night if you have been having short sleep at night before due to your dry room atmosphere. This machine is equally useful in relieving colds, cough and dry skin problems. This product is highly recommended as a good non-medicated alternative to over the counter medicines. This personal portable humidifier also boasts an LCD display with blue backlight and easy to understand readouts. This humidifier is perfect for the mid-size bedroom. In order to travel with it, you have to remove the filter wick and squeeze the water out with a towel and throw it back into the little travel bag. The instruction state that you need to soak the filter wick in water for 5 minutes before using it for the first time. This is great for traveling. Great to have an option for travel and helps to prevent dry skin while traveling. This is the cutest little humidifier. It looks like a penguin and this is perfect for kid’s rooms. This doubles as a night light as well as adding some moisture to the air. It rotates through the seven different colors or just has it on while to change the color and then turn on the mist press and then hold the power button that is touch sensitive. This will turn on the color rotating a simple press will turn on an off the vapor mist. This is easy to change unscrew the head and then simply pull down on the wick cover to replace the cover and then screw the head back on. 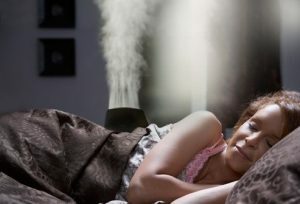 A humidifier will help you to eliminate the dry air and other forms of medical problems that cause by dryness. Having one in your home will be helpful at given time. The fresh air will make to breathe well and nourishes the skin and hair. 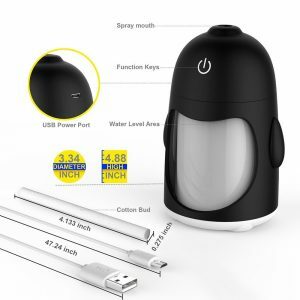 You can get the best mini travel humidifier within the price. It is also helpful during the winter season. These portable water bottle mini humidifiers are very efficient.